We have found that new vacancies have dropped slightly, as partners of law firms go off on their holidays and find better things to do, such as watch or play cricket! For permanent placements the fields of law are shifting, although I have looked back and discovered that we are still placing crime solicitors, despite previous gloom and doom - it seems that London has become a desert for recruitment thanks to the redundancies, but everywhere else seems to have the occasional post. Conveyancing is good - lots of work on both the temporary and permanent side coming in - although again London central not moving very fast. Other areas appear to have a bit of a shortage. Personal injury - not very good, although commercial and civil litigation have picked up slightly. Commercial litigation remains a barren wasteland, although we have had a couple of commercial litigation posts into us now, including an NQ one (second since 2004!). Commercial property remains busy, and there is a real lack of any candidates in that field at times. Property litigation as well seems to be the 'in' thing, and I expect this to increase in time, as more and more issues arise for the new generation of landlords out there. Things have not changed very much at all - I rue the days spent reading all the legislation and attending courses - what a waste of time! Our agency has never discriminated on any front, and I have been happy to put forward 70 year old lawyers for NQ jobs if they wish me to. Firms can do as they please really - if they want to ignore an application they will do, but just dress it up as something else. Still lots of ads for NQ-3 years PQE solicitors, which firms of specialist employment lawyers were advising recruiters to cease doing. I have noticed an increase in firms taking on older solicitors, which is good. Litigation posts as a whole appear to be coming back into fashion after a few years of nothing arising. We have continued to pick up these in the last month or so. Not that mad at all - still posts there, but not that many - Carter has caught up I think... - although outside of London anything above 3 years PQE and if possible panel applications in already is going to result in interviews. East side of London currently poor. This remains a poor area to be looking at NQ level though - if you are a panel member outside the North East (which historically has been very poor for family law recruitment), we would be reasonably confident of securing a good number of legal job interviews for you - the south west is a particular hotspot - Plymouth firms in particular. Bonus schemes are either loathed or hated by solicitors. I recently read an article about recruitment consultant's salaries, which was talking about the average bonus given to consultants and the way it was done. However, a recent experience brought me in contact with what I think is the most generous bonus scheme I have come across yet. If you are interested in finding out which firm this is, you would need to be a conveyancing solicitor with about 3-10 years PQE looking in the South West! The firm offer every solicitor the same package, which is 10% of everything they earn. So if they earn £20,000 in fees, the solicitor gets £2,000 of that. In addition to this, the solicitor also gets 5% of anything their subordinates earn. I must say that I have always found working for bonuses the better option than salary - salary results in drudgery - people work to survive, rather than living to work occasionally, and salary ends with people clock watching and not being interested in their activities each day. Bonus schemes that work can galvanise whole teams of people to push towards achieving goals, and bring in higher fee income for the firm. 15.08.07 What is PQE, and how important is it to law firms? PQE stands for 'Post-Qualified Experience', and is usually given in years or half years for solicitors and also for legal executives as well. However since 2006 and the new laws, very little has changed, because in reality solicitors need certain levels of PQE before they can undertake certain tasks. For example, a 1 year PQE solicitor is legally unable to supervise an office - they have to be 3 years PQE before they are allowed to, and also have passed a management course recognised by the Law Society (some solicitors believe the latter to be a simple money spinning operation by various course providers, but I could not possibly comment). Hi there - I would be very grateful if you could please give me so advice. I feel as my law career is going nowhere. I have nearly 3 years continuous paralegal experience which i have gained in different departments. I spent 2 and a half years with one firm and i have recently started in a new firm. I have applied for numerous TC s and don't seem to be getting anywhere. I am at the point of giving up. I was wondering whether it was my CV that was letting me down. Is it possible you could have a look at this for me please and comment on it. I have attached it for your consideration. Any advice would be gratefully received..
really a factor, but I cant help wondering if re doing them would stand me in good stead. Firstly, to explain to anyone else who will not have access to the CV, this lawyer has a reasonable CV, laid out OK with plenty of experience in law firms as a paralegal in a very marketable department (wills & probate). This is quite a common issue at present, with there being so many LPC and LLB graduates out there looking for training contracts, and paralegals spending a couple of years or more working within a law firm doing efffectively the same job as a trainee, albeit in one department, whilst looking for a training contract. Do not give up. Your CV is not the problem I suspect, as it is informative, well set out, and although could do with a bit of tweaking to add in further information about your roles to date, it may be something else that is holding you back. Your interview technique can't be that bad either, as you have already attended legal job interviews and been recruited! To get the experience you have had in the last few years is an achievement in itself, congratulations. There are a lot of graduates out there who are unable to even get this. Have you contacted the Law Society yet to get the paperwork through to reduce the length of any training contract you may need to do? The form used to be called the TC8... You may be able to get 6 months reduction, and if you can agree this in advance, it is a really good marketing point when sending through your CV - ie you will only need an 18 month training contract. Have you made yourself mobile when looking for a training contract? Not many around South Wales, although if you move further afield, eg into London and the home counties, you may stand more success. How committed have you been to finding a training contract? It can take a long time and lots of interviews to secure one.... Have a read of our free guide - http://www.ten-percent.co.uk/Advice_for_Law_Students_and_Graduates_looking_for_a_Training_Contract.pdf - this really does work if you remain committed to it, although much harder to get the time if you are already in work. Try to market yourself as a wills & probate fee earner, as you have this to offer to a firm, which the vast majority of graduates do not. Dont redo your A Levels - although they have an effect throughout your career, they will make little difference when you have the experience you do already... The same applies to your degree classification, although some of the larger firms will not consider you particularly favourably with this (2.2). 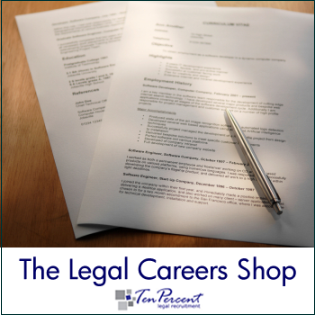 You can also visit our website at www.ten-percent.co.uk with over 100 pages of careers advice and articles for law graduates and paralegals on a whole range of topics. Legal recruitment consultants only tend to be able to assist experienced fee earners, but it may be that we are able to help you as a candidate with your experience to date. What does a locum solicitor do? 01.08.07 What is a locum Solicitor? We occasionally run series of articles on this site with a different theme, and this one is all about what different types of law actually mean... at this time of year, we get a lot of calls from would-be trainee solicitors hunting for holiday work, vacation placements and training contracts, and most probably have very little idea as to the reality of life as a solicitor in a certain field. A locum solicitor is a lawyer who works on a short term basis only - sometimes for a few hours, and other times for a few years - to cover for absent members of staff. Commonly used in local authorities, where staff always seem to require more cover than in private practice (I would imagine this has something to do with the almost impossible working conditions at times, the state of the management in some local authorities, but also the fact that government employers do tend to be slightly better at covering for absent staff than private practice, where at times fee earners can come back to find their desks smothered in paperwork!). Often a locum solicitor will be self employed, and contract directly with a firm for their services. They will charge a daily or weekly rate for their work. Locums can range from NQ level solicitors up to 45 years PQE +. It usually suits people looking for some flexibility - eg sportsmen and women, or semi-retired practitioners. A locum will usually be expected to pick up a caseload and run with it, sorting out anything urgent for anything not requiring work on it, and very often they are left to their own devices to get on with it. The main disadvantage with the set up is that you can find yourself without work for 3 months out of every 12, which is the rule of thumb that most locums work to. Pay can be varied, ranging from anything around £120 per day for an NQ dealing at a junior level, up to £400 for someone very senior on the commercial side.